Acupuncture is a therapeutic method used to encourage natural healing, reduce or relieve pain, swelling and improve function of affected areas in the body. Practiced for about 4000 years, acupuncture is based on principles of traditional Chinese medicine. The treatment involves insertion of very thin sterile, disposable needles (less than the thickness of a piece of hair) into specific points, resulting in an increase of endorphin production (the natural pain-relieving chemical of the body) by the central nervous system. The result is pain relief and enhanced healing. There is no injection of any substance and treatment itself causes minimal, if any, discomfort. Acupuncture is effective and is often successfully used as an alternative to medication or even surgery. 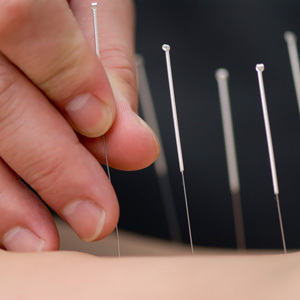 Acupuncture is very effective in treating a variety of painful disorders, both acute and chronic, from digestive, respiratory, urinary, menstrual, addiction, neurological and muscular conditions. Acupuncture In Alliston Actually Feels Great! Contact Alliston Chiropractic Wellness Centre now to schedule an appointment.